JTB CAD Automation Tools is a batch processing app for AutoCAD that both can be used to create new drawings based on templates or modify existing drawings. JTB CAD Automation Tools 5.0 news. The AutoGen command has been used by customers creating instrumentation drawings, loop diagrams (loop drawings), schematics in an automated way based on data in a spreadsheet. The AutoIns inserts text, blocks or xrefs into drawings based on the control file. The AutoUpd updates existing drawings based on the control file. 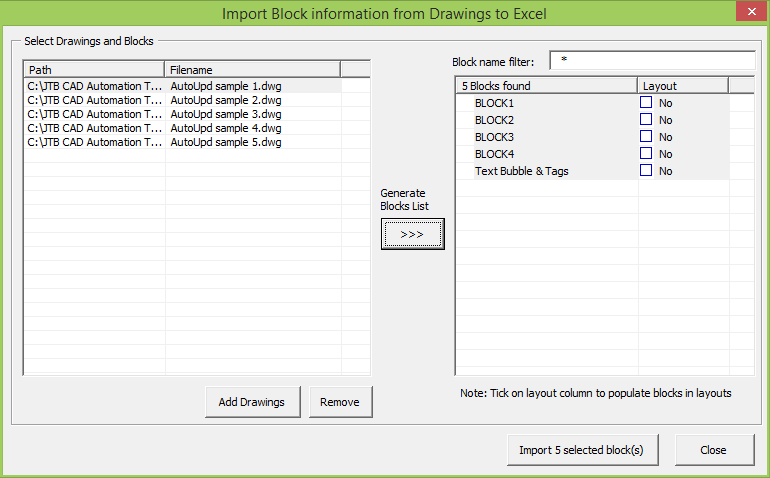 In the process text and attribute values can be changed individually on each new drawing. Download trial or purchase here.